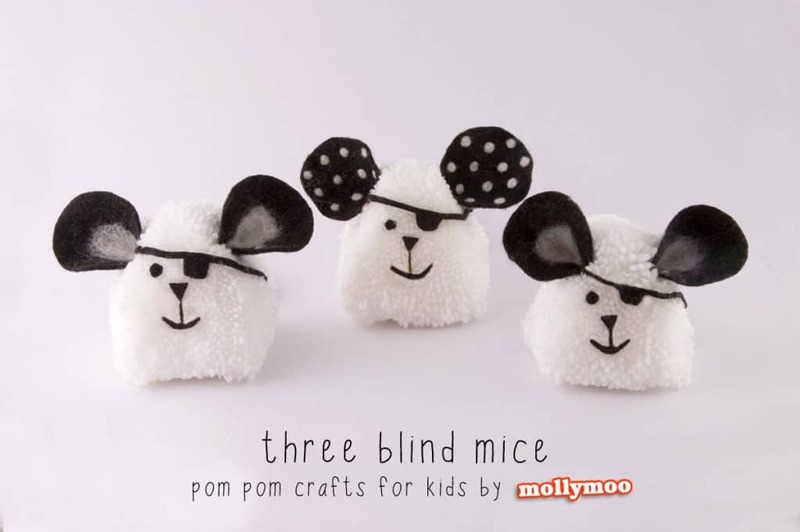 Please give a warm welcome to Michelle from Molly Moo who is sharing a super cute pom pom craft for kids with us today – making three blind mice, which are just lovely for song bags and storytelling. 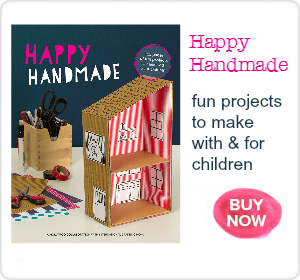 Make three large pom poms. 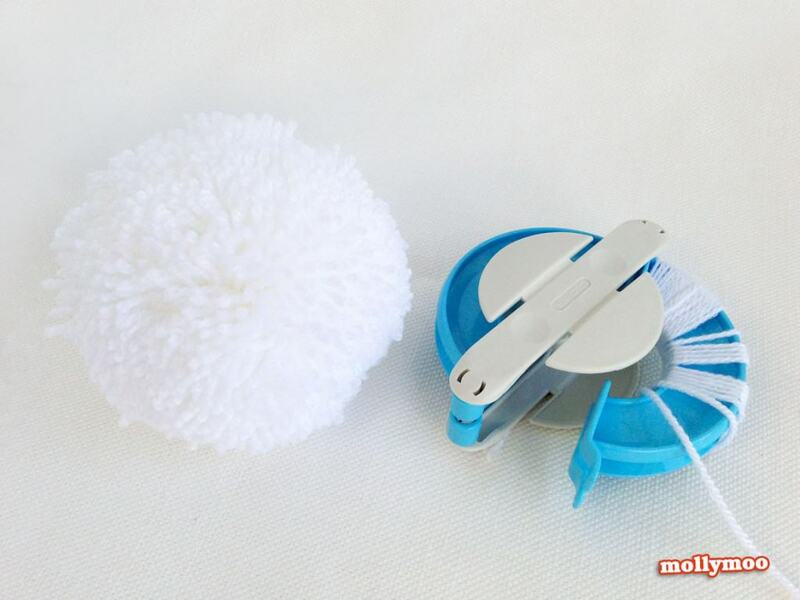 I have these Clover pom pom makers but you can use DIY cardboard rings also, whatever you’re comfortable with. 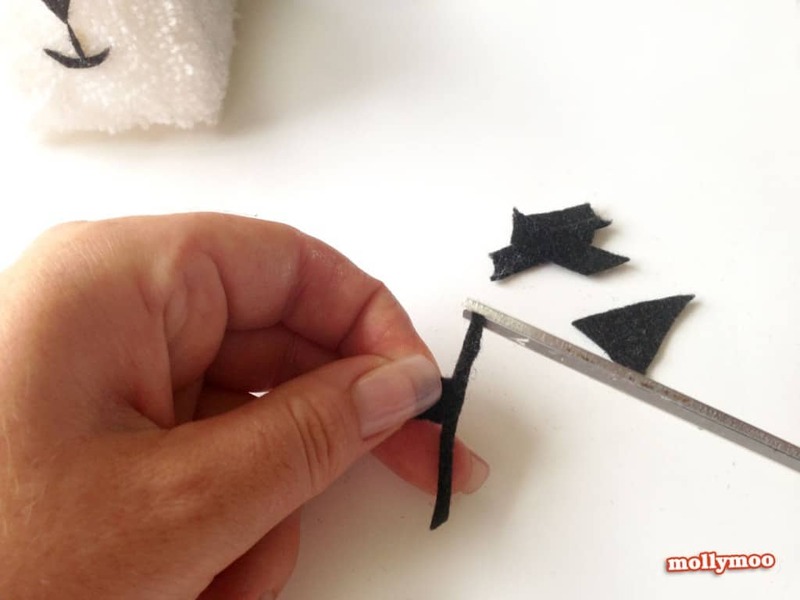 Trim the pom poms into triangular shapes, getting the sides as straight as you can. 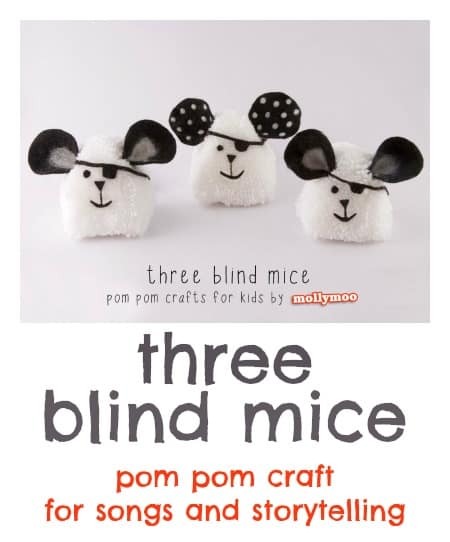 Now it’s time to cute little eyes, triangular noses, mouths, circular ears and eye patches from a sheet of craft felt and set aside. 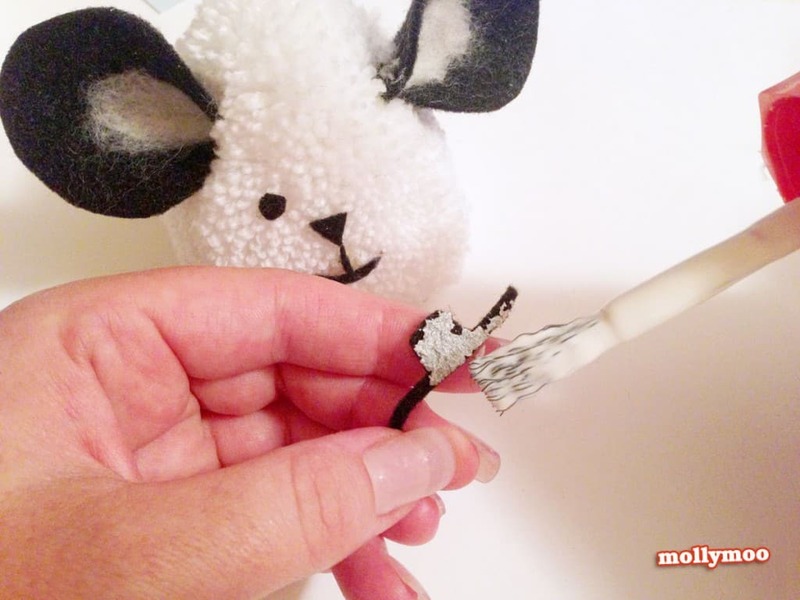 You can use Qtips dipped in white paint or a paint marker to add some interesting patterns to the ears. 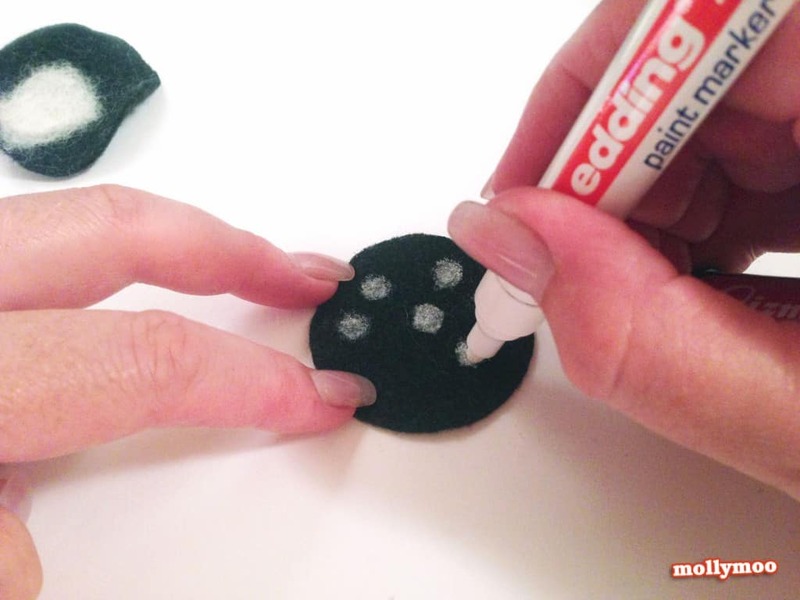 Use CopyDex or FeltGlue for gluing the felt pieces to the pom pom – better for fabric to fabric, and dries fast. For the ears pinch one edge together and glue together to get a curve on the ear, and then part a few of the pom pom threads to get the glue right into the core to glue in the ears. Hold in place for a few seconds to secure. 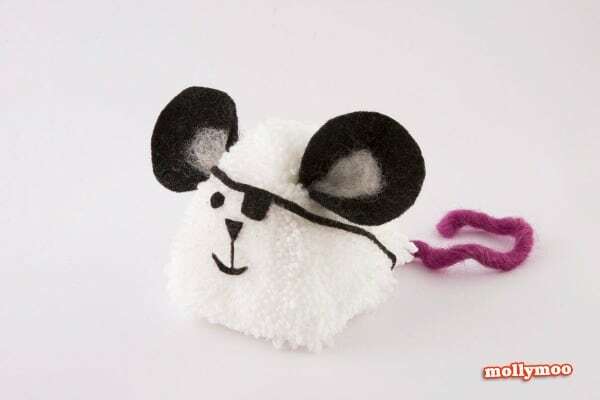 Stick a length of coloured wool on the back of each mouse for the wiggly tail – and you’re ready to ‘see how they run’!